Do You Remember The McCrackens? I absolutely love the McCracken books and probably have all of them. I think they have one of the best spelling programs around. 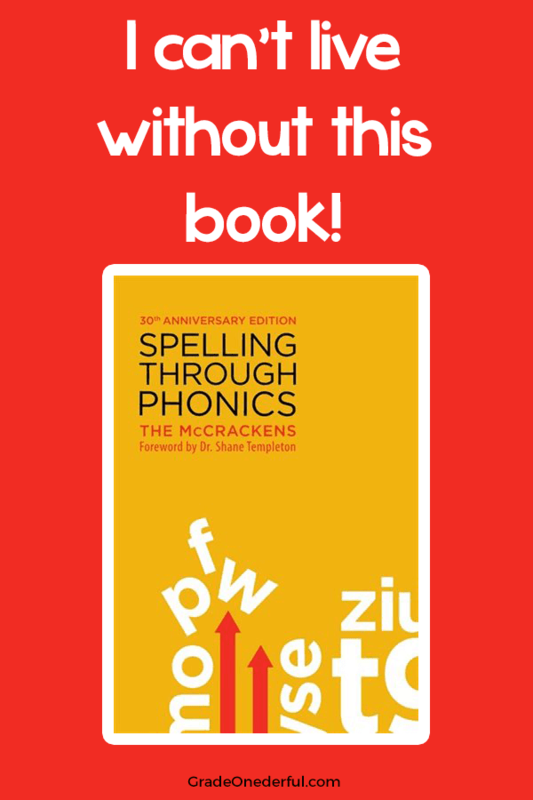 Mind you, I supplement it with Cunningham's word wall work, spelling centres and sight word poems, but honestly, I couldn't live without Spelling Through Phonics, the little yellow book. I meet with two guided reading groups a day (I have four in total) and we spend the first 5 minutes or so working on spelling. With one of my groups we're working on short "o" words. I dictate a word (e.g. soft) and the kids stretch it out, as many times as necessary. When they're ready they print the word in their little spiral-bound notebooks. I've also used chalkboards and white boards, but I like these better. They're easier to manage and store. I also get them to read the words back to me. That's usually harder for them, but such good practice. In the pic below you can see that this child was working on short "i" words. The program emphasizes letter names, letter sounds and correct printing. The book covers K to Grade 3. 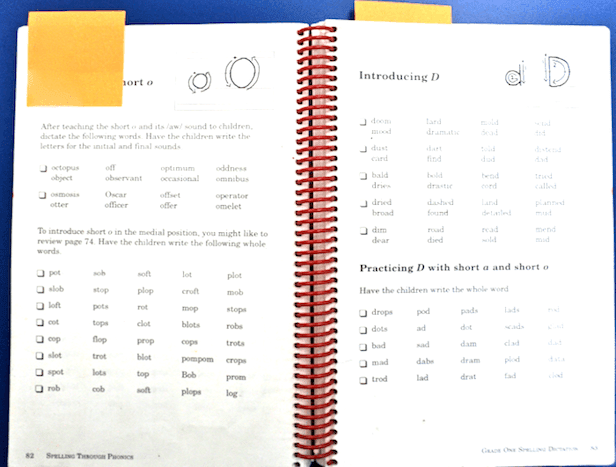 In the Grade 1 section all the letter names/sounds and short/long vowels are practiced. 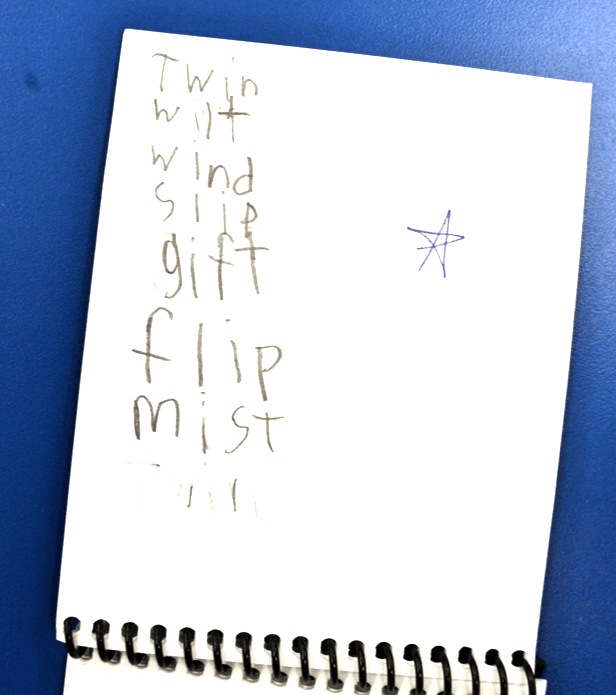 It covers blends, digraphs, word endings (ed, s, ing) ... all that good stuff. It's super easy to use. It's differentiated. And I feel it really supports my writing program because most of the kids start to feel comfortable writing words with phonetically logical spellings pretty quickly. I've been working on refining my program the last couple of weeks so that's why I'm sharing this ~ it's been on my mind a lot:) I've made some small changes to my daily spelling routines, but THIS will never change. The McCrackens rock! PS Before you go, be sure to check out this post about printing practice McCracken style! Serious McCracken fan over here. That couple knew a whole lot about teaching kids to read and write and to love reading and writing. I've been using McCracken for years but never thought to do it with guided reading groups!!! I love that idea. I use it as a whole group activity on white boards but I love differentiating it for all kids. Thanks for sharing! Love the McCrackens!! I had two big books by them The Big Red Apple and one about a dragon and the kids could re-build the stories in the pocket chart. Two of my most favorite center activities!! I agree with the everyone who has already posted. 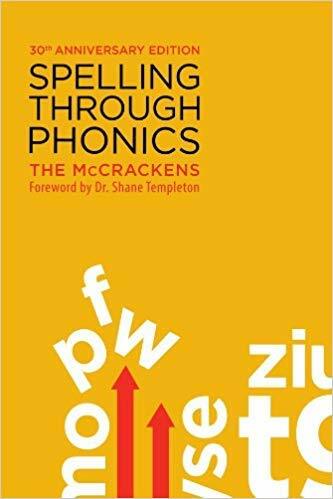 I started using McCracken spelling years ago with first graders, and now teach third graders and still use the book I got way back when. I think I'll have to look into the book you have in the photo. It seems to be an updated version of what I have. What is the copyright date? I'm having a give-a-way this week - hope you'll come check it out. I used McCracken too! Have to go find that book again! You forget about all the good things you have sometimes! Love it. I am pulling my book out tonight. Thanks for the reminder. I've never heard of the McCrackens oddly enough. Looks like a great resource! From the looks of the previous comments I need to be finding this book! I love what I've seen so far.